Many people would be aware of how the recent financial crisis affected several industries and businesses across the world. As businesses went under, many working professionals realised the value of enhancing their qualifications by taking up various courses online. Having additional strings to your bow still holds immense value. In fact, many people in Australia are increasingly taking real estate courses online these days. Having the relevant real estate certification could be useful in providing a secondary income as well. Investing in real estate is a worthwhile activity. People all over the country are looking to purchase land for their residential and commercial requirements. This is why you could augment your current income levels by obtaining the relevant accreditations as a real estate agent. Doing so would enable you to setup a secondary source of income. At the same time, you could help other people purchase the properties that best meet their requirements as well. Taking an online real estate course can save you both time and money. Online courses are considerably cheaper than classroom training programs. In addition, they will usually have the latest information on the field as compared to printed course books that can take years to update. You can take online courses from the comfort of your home, when your concentration levels are at their best. In many cases, experienced trainers will deliver these trainings online. As such, they will help you obtain a good grasp of all the concepts involved, thereby helping you earn your accreditation easily. Thereafter, whether you want to invest in real estate or work as an agent, you’ll be able to utilise your knowledge effectively. At the Australian Salesmasters Training Company, you can get the best courses in the country for a variety of fields. From sales courses to accounting courses, we offer them all. Thus, you could use these for upgrading the skills of your staff. Alternatively, you could use them for acquiring certifications in various fields. 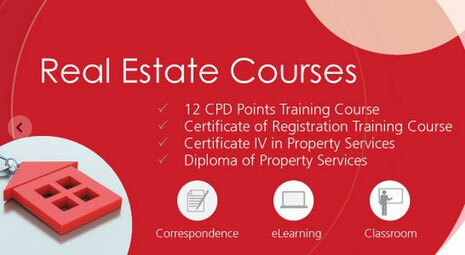 For instance, our real estate courses online offer the best value in real estate education and training. Delivered by some of the most experienced trainers in the domain, our courses cover the Australian property industry as comprehensively as possible. For more details, give us a call at 02 9700 9333.